The android UI(User Interface) layouts play an essential role in designing the better GUI(Graphic User Interface) for the app. So, lets know what they are and their declarations in the code. One more thing to tell i.e., these layouts are defined in the XML code. A Layout defines the arrangement of the views and holds the view structure which is displayed to the user. Views are the rectangular shapes with which a user can interact with the app. Layouts are built using view hierarchy. The layout structure is defined by an invisible container called View Group. Using this every child view or widgets can be constrained relative to one another. This layout provides more features than relative layout. Here the positioning of the elements i.e., child views or widgets takes place relative to one another. Grid is the framework of spaced bars that are parallel to each other. It is basically a list view and all the elements of the grid are of same size. Frame Layout is designed to block out an area on the screen to display a single item. Generally, Frame Layout should be used to hold a single child view, because it can be difficult to organize child views in a way that's scalable to different screen sizes without the children overlapping each other. In this case the alignment of the elements takes place either vertically or horizontally. Arranges the views in the form of rows and columns and here the border lines are not displayed for rows and columns. This layout is used to create custom layouts and here every element is assigned its position using x and y coordinates. This layout is not preferred because the maintenance of the UI becomes difficult with different screen sizes of the android devices. Android Activity: It is the user interface screen that runs on android which contains views and widgets for the user to interact with. these methods can be used by the developer to control the activity instances. lets keep onRestart() method aside by discussing its functionality for better understanding. 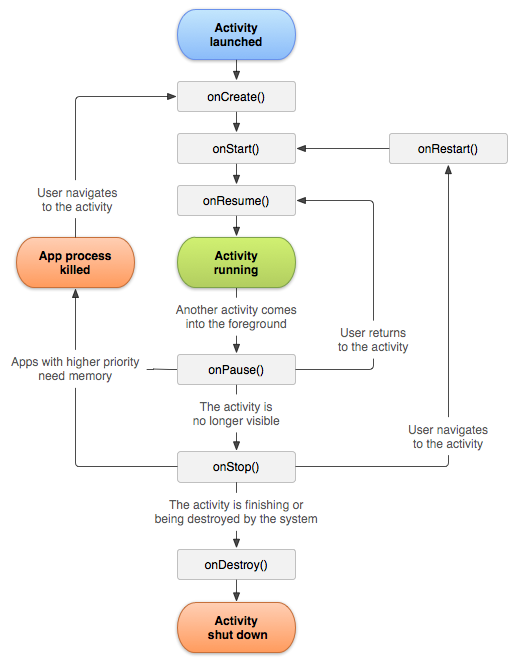 onRestart() method drives the activity from onStop() to onStart() stage/method, this takes place when the user comes out from the activity by pressing the home button and when he tries to launch the app again the onRestart() method will be called. This method creates the activity by gathering all the required resources. whenever the orientation of the app is changed (i.e., from portrait to landscape or from landscape to portrait mode) activity gets terminated and onCreate() method is recalled. During this process the app data is temporarily saved into Bundle class object i.e.,savedInstanceState before termination and then it will be provided back to the activity. This method is called just before the user interface(UI) of the activity becomes visible to the user. This method is called during the activity run in the foreground. In this state user will be interacting with the activity. This method is called when the activity is not visible to the user but still running in the background. Here too the activity is not visible to the user. It just runs next to the onPause() method. Used frequently to terminate the APIs(Application programming interface). This method kills the activity completely. Releases the space held from the temporary memory of the device. 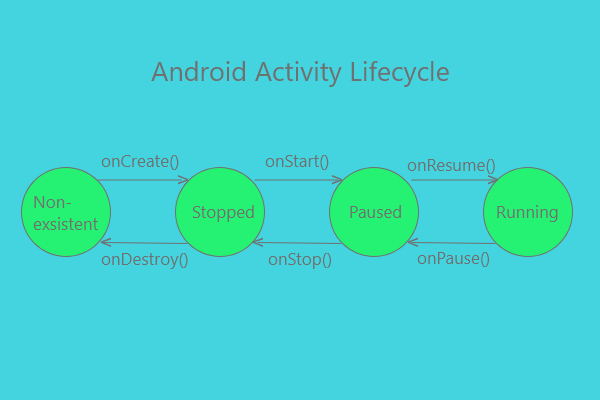 for more clarity go through this pictorial representation of Android Activity Lifecycle. As we all know that Android is the mobile operating system, lets dig the topic and discover more about it so lets begin. 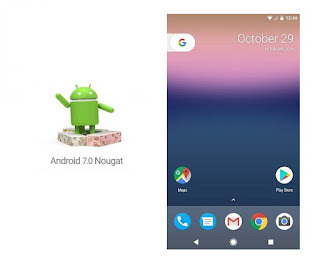 Android is the mobile OS that runs on linux kernel and this OS is widely accepted by almost all the manufacturers of mobile,tablet, television, smartwatches as it is opensource and the code is available to opensource community. 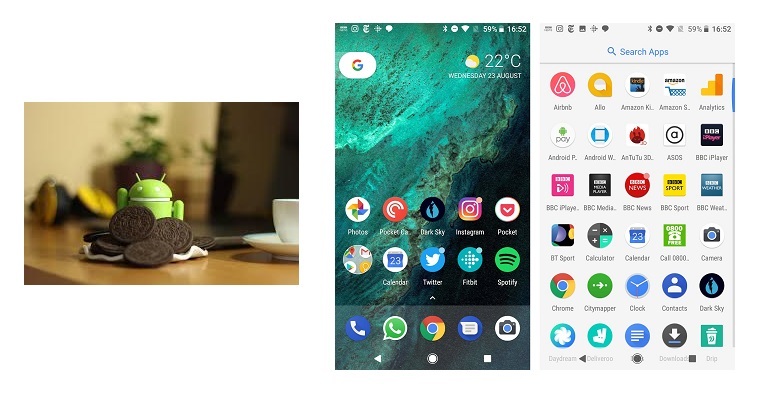 Android began its journey way before the "smart phones" term went trending round the globe even before the apple introduced its first screen touch device in the market. Android Inc was founded in 2003 and its main intention was to develop a advanced UI(User Interface) for digital cameras. 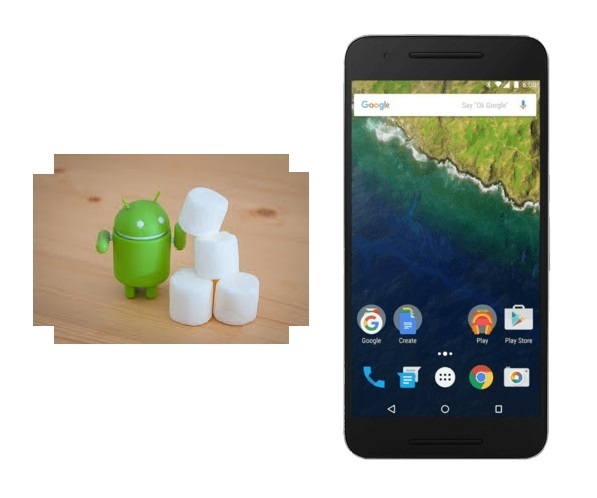 The brains behind its development were Andy Rubin, Rich Miner, Chris White and, of course, Sergey Brin and Larry Page who played an important role in the development of android after Google acquired it in 2005. After the acquisition by Google the android progress rose to the top and then came the successive android version releases in the market. As the mobile manufactures started shifting to android OS, the user base grew drastically, once they got the momentum in the OS the Android Studio was out on May 16, 2013 at the Google I/O conference. The first stable build was released in December 2014, starting from version 1.0. Now we see that android version list runs from A to P.
The first screen touch mobile device to run on android was HTC Dream. This brought the android ecosystem in to existence i.e., Android OS-app developers-Users-Advertisers-Android OS this created the win-win situation for everyone on the platform. Now we all know that android rules the mobile Operating System and is even getting expanded into wearables, televisions, etc. 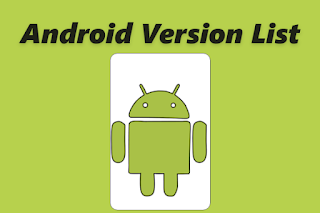 This article contains the android version releases up to date. 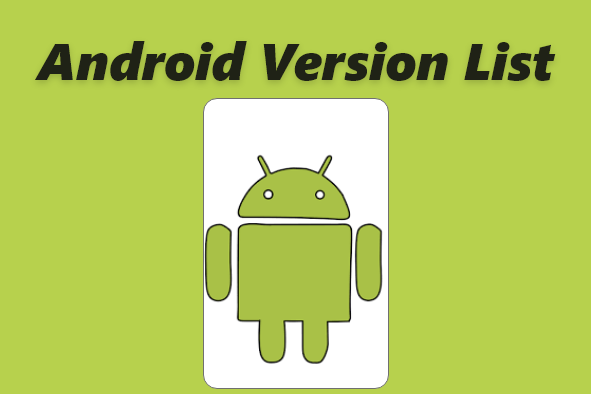 Currently the android code version names ranges from A to P.
Android 1.0 was released on September 23 2008 and before this there were Alpha and Beta releases. 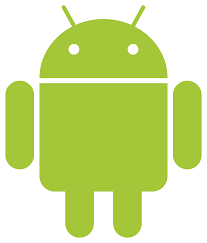 Hi there, you are in the right place to know what exactly the android studio is so lets explore the topic. 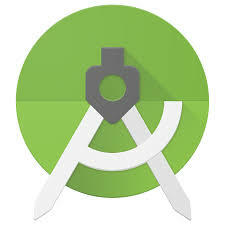 Android studio is the official IDE (Integrated Development Environment) by Google for developing android applications (applications for android Operating System). It is software development kit specifically designed for creating applications for android platform. 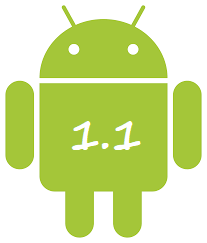 The first stable release of the android studio version was done in December 2014. In Android Studio you can write the applications in Java, Kotlin and you can even use C++, whereas the layout designs are coded in xml. If you have the basic knowledge of any one of these then it will be easier for you to build the apps. Only thing is you have to go through the packages and the functions offered by them that make your coding faster. The App layout design is easier as the android studio offers drag and drop features for the widget design and the xml code will be automatically written for the widget and the additional code can be added based on the requirement. So what are you waiting for go and give it a try.